Here is Tammy’s appearance on Fox’s “Kelly File” last night with guest host Martha MacCallum. They discuss the subject of Tammy’s latest column, the comparison of how our vets are being treated in their health care system, the VA, versus the amazing health care traitor Bradley Manning is seeking, and receiving. As usual, Tammy was amazing, but I was especially pleased this time. Political correctness run amok. So pathetic. He’s a traitor, he’s in prison and it should be: “Sorry, you lose the right to change your gender.” Remarkably, he was able to survive without the sexual reassignment–until he found a way to get it for “free”. Chuck Hagel is such a loser. And Tammy, when it comes to articulating the facts of a matter–nobody does it better. Exactly, you shouldn’t *gain* special privileges and options when you are convicted of a crime and sent to prison. Good as always Tammy. Liked that it was just you with Martha and that it was the evening before Armed Forces Day. The day before Armed Forces Day, Tammy was in the newspaper, on radio, and on TV, Tammy Media Forces Day. Thank you all who serve, this is your day. Relative to Armed Forces Day, here is a Marine Sargent’s article on the 31st Marine Expeditionary Unit, the only continuous forward-deployed MEU (Okinawa). Discusses how the 2nd Battalion 5th Marines were relieved by the 3rd Battalion 5th Marines this last week. The 2/5 is the most decorated unit in the Marine Corps and the 3/5 has the most Navy Crosses. The VA’s healthcare system is atrocious, and it is sad that veterans get the shaft while convicts get priority for taxpayer funded healthcare, but this should hardly be a surprise to anyone. I learned long ago that I couldn’t rely on the VA or the federal government for healthcare. After spending 16 years on active duty in the United States Navy, I was honorably discharged. I have a service connected disability rating from the VA, yet I can’t even get an appointment at the VA medical clinic in my area-I have to travel 120 miles round trip to a VA hospital for outpatient medical care because the local clinic is “not accepting new patients.” When I did go to the VA hospital, I wasn’t allowed to see a specialist, but instead was sent to a GP (after waiting over a month for the appointment), who spent 5 minutes with me and prescribed generic meds that didn’t work. He ordered lab tests and never followed up on the results. I then went to a private doctor who told me that the meds I was on were not appropriate, and when he ordered lab tests, there were some significant causes for concern-which undoubtedly also were reflected in the VA’s tests that had been done not long before, not that anyone was following up of course. My private doctor put me on completely different meds (which were also more expensive than those the VA was giving me, my health has stabilized, and I’m doing much better thankfully. Fortunately, my service connected disability does not keep me from being able to work, and I have an employer sponsored health plan that is expensive, but well worth every penny. If I had to rely on the VA for my healthcare, I have no doubt that my conditions would have worsened significantly. It’s easy to see how older veterans with more advanced health problems could wind up dying when relying upon a system that treats veterans as a number, doing its utmost to keep costs down (after all, office furniture and fancy new buildings aren’t cheap). It infuriates me when I see PRISONERS, convicted felons, receiving what are in essence ELECTIVE procedures, drugs and treatment at taxpayer expense. 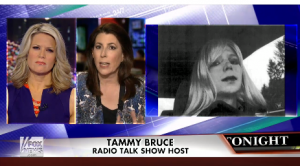 Bradley Manning (I refuse to call it Chelsea) will not die from not receiving hormones or gender reassignment. Yet many vets out there WILL DIE from not receiving timely medical care for conditions such as Diabetes, COPD, cancers, etc. What makes it worse is that many of these vets’ conditions came about AS A RESULT OF their service. Bradley Manning’s desire to become a man posing as a woman is hardly life threatening nor did it result from his Army service. Granted, the VA isn’t giving him this treatment, but money spent by the Federal Government through the Bureau of Prisons or DoD is undoubtedly money that can’t be given to the VA for deserving vets-unless one believes in the concept of an unlimited supply of money (which this administration does, it seems). Some are arguing that not giving Bradley this treatment constitutes cruel and unusual punishment, and I’ve heard it argued that not treating Bradley may result in depression or even suicide. I (and I suspect most Americans) would be willing to risk it. If he decides to hang himself by his taxpayer supplied pantyhose, there will be one less traitor draining our collective resources. The only thing Bradley Manning is entitled to at taxpayer expense is the length of rope it will take to hang him. The lady is pure class and provides clarity with her analysis when others only give you smoke and mirrors.